Millennium Trilogy better known as The Girl With The Dragon Tattoo trilogy. Millennium Trilogy is written by Stieg Larsson. And sadly I have not read this books. I know I know WHY NOT? Right? I don't know either :(However last week a friend of mine got me the trilogy in a DVD box. Yes yes, I saw the movies. I was not sure at first if I wanted to watch it or not. Then I saw the trailer that said movie would be coming soon with Daniel Craig and... sorry I didn't see anything after Daniel Craig. So I did a bit of googling about the movie, the books and HOLY MOTHER OF GAWD!! Yes yes. Why have I not read this books is still a mystery but I was not about to give up the chance to watch the movies when I have them in hand. No matter if the movie is in Swedish, that;s why there is an option called 'subtitle'. This was definitely my favorite from the trilogy. 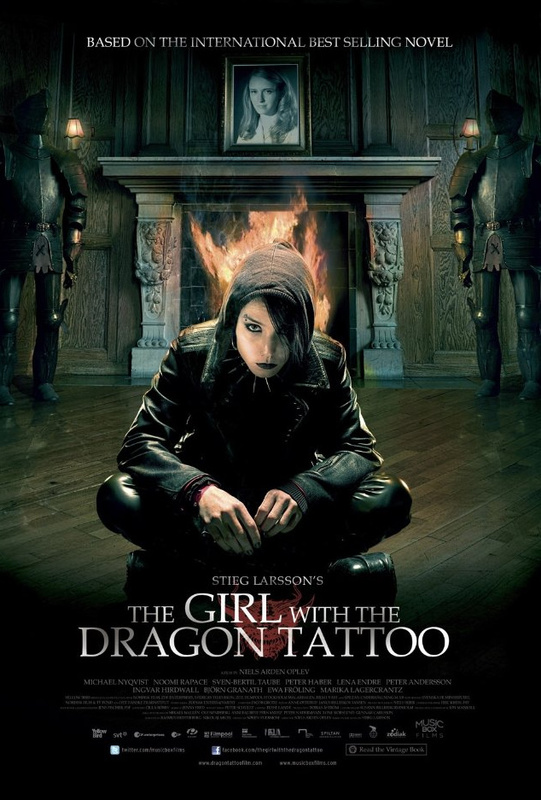 Lisbeth Salander is an expert hacker helping out Mikael Blomkvist solve a mystery of a woman who has been missing for over 40 years. 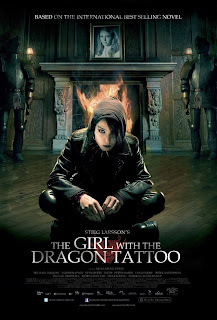 The Girl With The Dragon Tattoo is the first of Millennium Trilogy. Second book of the trilogy and this one mainly focuses on Lisbeth and her past. And some unknown people trying to get Lisbeth in jail for crimes she didn't commit. The Girl Who Played With Fire on goodreads. Third and last of Millennium Trilogy. Lisbeth's fight continues to prove that she is not guilty. Revealing a conspiracy which was one of the reason that lead Lisbeth to have a abusive childhood. The Girl Who Kicked the Hornet's Nest on goodreads. Overall, awesome movies. I can't say what I think of the books till I read them. But they are now definitely on top of my TBR. I am stil confused if I want to watch the US version of this movie. The Swedish one is already sooo good! I probably will though seeing Daniel Craig will be playing Mikael Blomkvist. 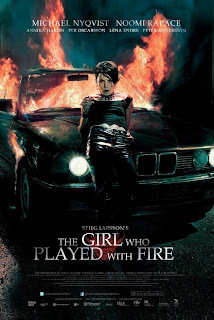 I don't know what to think of Rooney Mara as Lisbeth Salander, I guess I will just have to see the movie to give it a final verdict. But I absolutely LOVED Noomi Rapace as Lisbeth and I can not wait to see her as Madam Simza Heron in Sherlock Holmes: A Game of Shadows releasing today. WARNING: Millennium Trilogy are not romance novels or movies, the books are adult themed so are the movies. I've seen the first two movies in the trilogy. I've been waiting to watch the third, since I haven't read the book yet. I adored the Swedish version of the movies, and I'm not sure how the American version will be able to compare, but I'm willing to check it out. I agree with you and Amanda. I've read the books and the Swedish version of the moviesis almost perfect, and from the trailer I can already see that American version changed some facts. But I'll definily be watching!